We round up the latest rumors for Samsung’s next flagship, the Galaxy S8. Samsung needs a hit after the Galaxy Note 7 debacle, and the Galaxy S8 is believed to launch in April. It’s been eleven months since Samsung announced the Galaxy S7 and Galaxy S7 Edge, but there are already plenty of rumors surrounding its follow up: the Galaxy S8. Based on speculative reports and several credible leaks, here is what we think might appear on Samsung’s 2017 flagship phones, as well as when you can expect them to arrive. Will there be two Galaxy S8 models? The Korea Herald claimed Samsung will only offer curved versions of the Galaxy S this time around. A leak from Phone Arena also only mentioned a dual-edge curved display for the Galaxy S8 devices — with no talk of a flat model. Nevertheless, SamMobile seems to think there will be two models, known internally as Dream and Dream2. South Korean outlet The Bell also claimed Samsung will release a 6.2-inch display model alongside a 5.7-inch display model — and both will be curved. Taking a page from Apple’s playbook, the new phones might be called the Galaxy S8 Plus and Galaxy S8, respectively. What will the Galaxy S8 look like? The Wall Street Journal reported that a side-mounted button will be on the new device. Samsung is set to launch Viv, the personal assistant developed by Siri founder Dag Kittlaus. Remember, Samsung acquired Viv in October 2016. Bloomberg said Samsung will get rid of the home button in favor of an “all-screen front”. The report described the display as wraparound and noted there will be a virtual home button available in the lower half of the glass. A Guardian report also mentioned a bezel-less infinity display. VentureBeat further leaked an image that shows no home button on the front, as does a Weibo leak, as well as a tweet from Ice Universe, leaked BGR pictures, and images from PocketNow. SamMobile said Samsung will include a USB Type-C port for charging and audio and that the 3.5mm headphone jack will be ditched — something Fone Arena also reported. Plus, the Galaxy S8 could offer dual speakers. Samsung acquired Harman in late 2016, so it’s thought the speakers will be Harman-branded. One leaked set of specifications suggests the Galaxy S8 will come with a 5.2-inch display (4096 x 2160 pixel resolution), making it slightly bigger than the current Galaxy S7. SamMobile said the Galaxy S8 will feature a 2K display, as well. PocketNow and other sites — based on a Weibo leak — have said the Galaxy S8 might feature a dual rear camera, with a 12-megapixel sensor and a 13-megapixel sensor. But a different leak said the Galaxy S8 will have a 30-megapixel rear camera with optical image stabilization. It’ll also have a 9-megapixel front-facing camera, ET News said. VentureBeat said the phones’ rear camera will feature a 12MP rear camera with an f/1.7 aperture and a new visual search tool, and their front camera will have an 8MP sensor with an f/1.7 aperture. This report has also been verified by BGR. 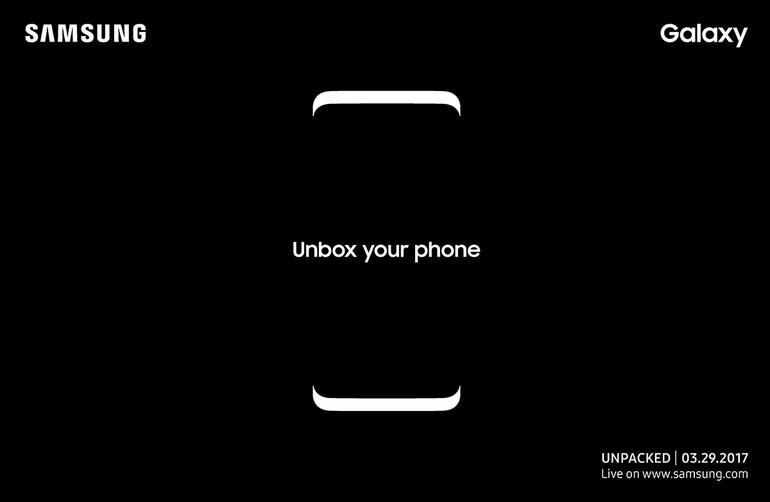 What will the Galaxy S8 feature? Ice Universe (via a report by MySmartPrice), a well-known tipster for Samsung, said the Galaxy S8 will come with 8GB of RAM, while another leak said it’ll have 6GB of RAM backed by a 3.2GHz octa-core Qualcomm Snapdragon 830 chip. But VentureBeat said the Galaxy S8 will have 4GB of RAM with internal storage options starting from 64GB. A Phone Arena leak pointed to two processors, the Exynos 8895 and the Snapdragon 830, as well as 6GB and 8GB of RAM. This will probably depend on which market you’re in. Another rumor further claimed the Galaxy S8 will have a 4,200mAh battery, fingerprint and retina scanners, and a built-in mini projector (but not many other rumors have mentioned the projector). The fingerprint scanner is believed to be on the back of the device. And finally, expect Samsung’s next flagship to run the latest version of Android overlaid with its TouchWiz software. Sam Mobile has said it’ll have a Bixby voice assistant, powered by Viv (which Samsung has confirmed), as well as an always-visible status bar. 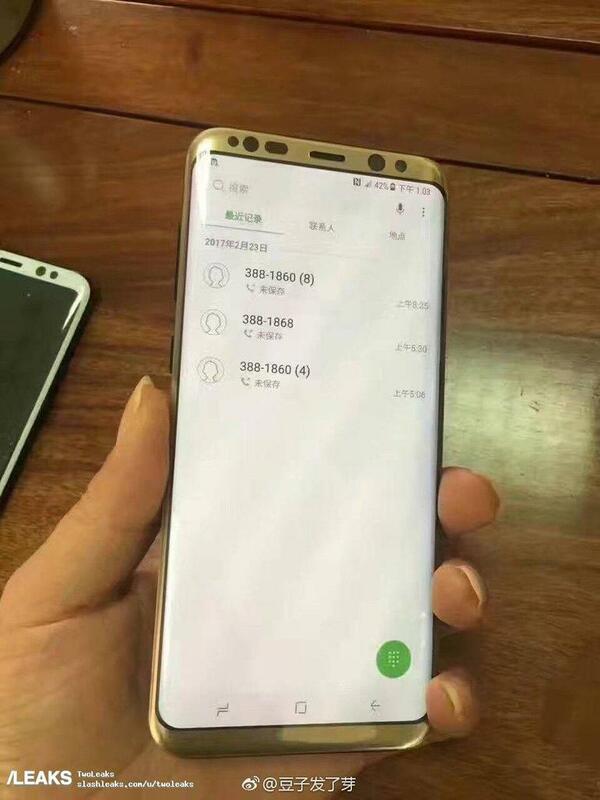 There’s believed to be a dedicated hardware button to launch Bixby. When will Samsung announce the Galaxy S8 and how much could it cost? We thought we could see the Samsung Galaxy S8 launch at Mobile World Congress 2017, which kicked off Feb. 27. However, that passed. Samsung recently revealed it will unveil its next flagship on March 29 at an event in New York City, but didn’t provide any word on when the Galaxy S8 and Galaxy S8 Plus could hit the market. 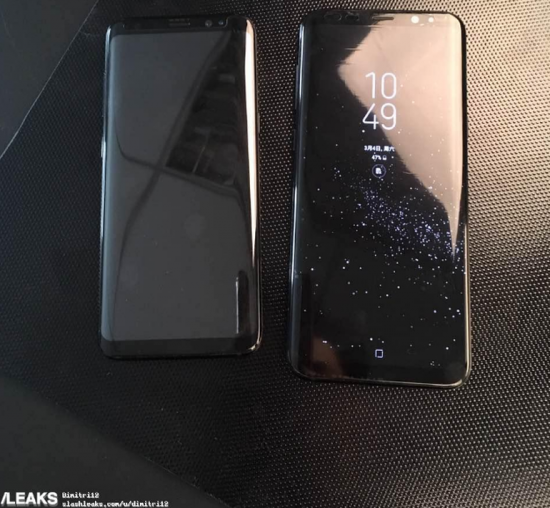 SamMobile reported the Galaxy S8 will cost around $950 and come in black, gold, and orchid grey (analyst Kuo said the devices will come in seven colors), while the larger Galaxy S8 Plus will cost around $1050. Of course, these are all rumors. We suggest you take them with a healthy dose of salt until we get closer to the rumored announcement. Samsung is remaining quiet on specifics, but is providing some hype for its next flagship.